Libra likes sharing in its relationships. It also likes to deal the matters with justice and gentleness. 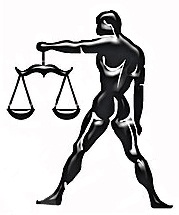 Libra detests violence and every means of injustice in his life. Libra must beware of issues that are related to its kidney and lower back. Minor ailments of this signs are skin disease and eye vision. Subject of this star should be careful about its dietary habits that prevent him from major diseases of kidney.